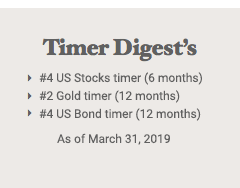 We take an active approach to managing stock market risk by employing sensible timing strategies with the government-run Thrift Savings Plan funds. When our time-tested indicators begin flashing warning signs, we advise you to switch your investments into the safe haven of a money market fund until the odds of making money are once again in your favor. We're here for you, 52 issues per year, with frequent hotlines between newsletters. If you need strong direction, follow our model portfolios. 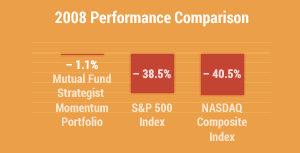 Designed for investors with varying degrees of risk tolerance, our Aggressive, Moderate and Conservative Portfolios take the guesswork out of the investment process by telling you exactly which TSP funds to buy and when to sell them. Looking for general guidance? Take advantage of our timing models. We provide buy and sell signals for both intermediate-term and long-term trends for the C Fund, S Fund, I Fund, F Fund, L Income Fund, L 2050 Fund, L 2040 Fund, L 2030 Fund and L2020 Fund. You can combine our timing model buy signals with top TSP funds from our weekly relative strength rankings. 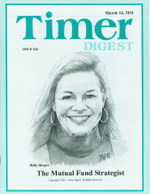 Each issue ranks TSP funds according to their current price momentum. Not sure this is the right newsletter for you? Subscribe month to month with our $7.00 auto-renew program. Cancel at any time.